We do not have to search far to find examples of the healing that sound can bring to us in our daily lives. Ocean waves crashing on the beach, a rushing waterfall, the chirping of spring birds or a favorite song. 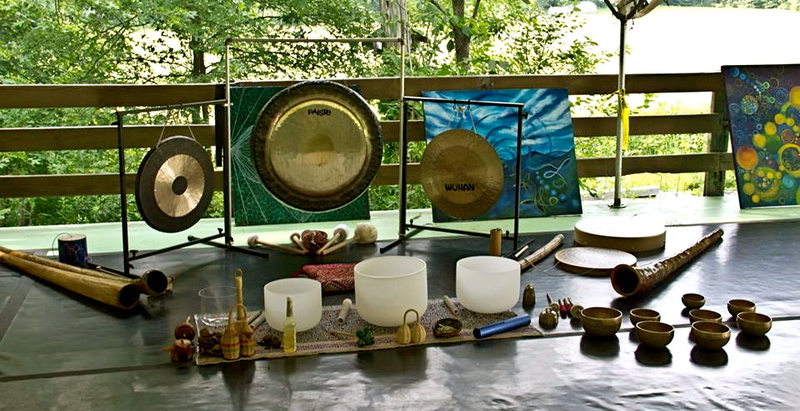 We take this natural response to sound vibration and combine it with intention and breath to form a powerful tool of healing and inner exploration. This tool is Sound Medicine. It creates a unique experience of mind, body, spirit connection and allows us to see ourselves in new ways. This new perception provides an opportunity for us to take an active role in our well-being and empowers us to release pain, emotional stress, tension and unhealthy patterns while stimulating and bringing forth a greater sense of wholeness, clarity, and creativity. The didgeridoo, gongs and singing bowls are some of the instruments that we use to introduce sound vibration to the body. 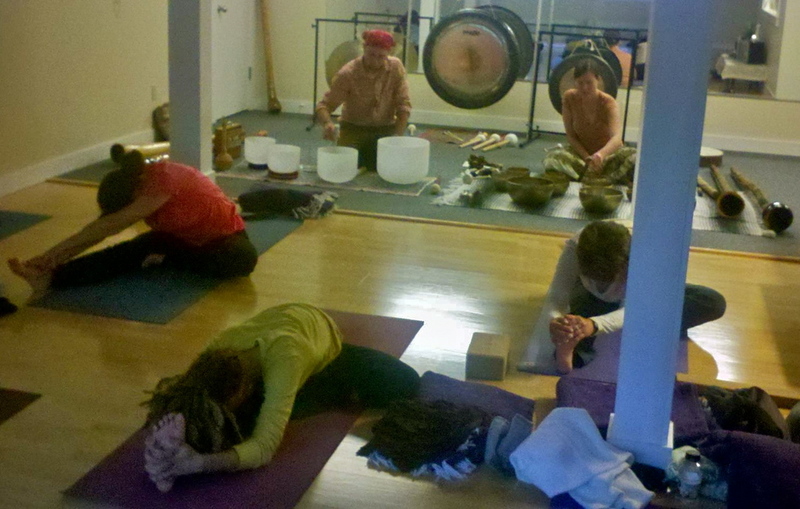 Sound vibration brings movement within the body, clears energetic blocks and stagnation and quiets the mind. When the mind chatter is subdued we can more easily turn inward, let go and release; making space to restore and rejuvenate the vital energies of mind,body and spirit. It is through our intention that we explore what healing means to us. Intention brings awareness to particular areas of our bodies and of our lives. 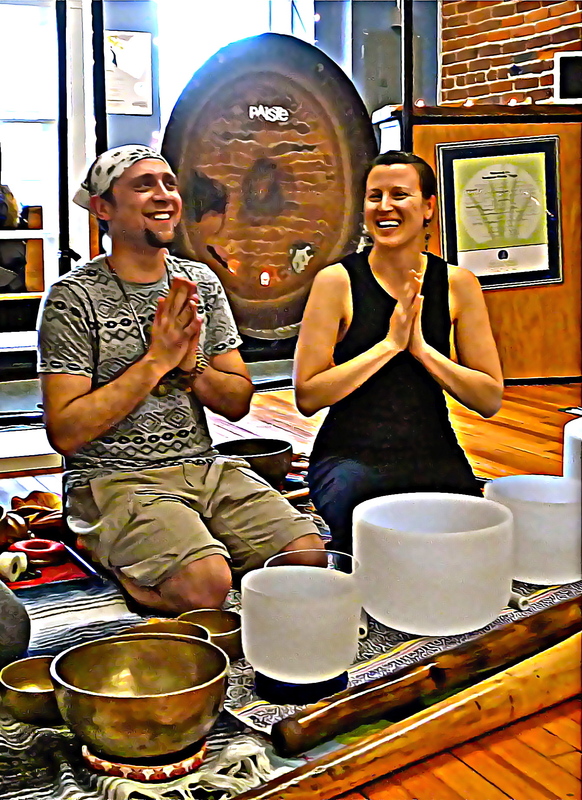 Whether we seek relaxation, relief from pain, to find forgiveness or creative inspiration, intention is the guiding force behind our sound medicine experience. Breath is life and it connects us to every part of our being. The breath is our main focus throughout the sound medicine experience and it is what keeps us engaged with it. Attention to a soft, relaxed and steady breath is encouraged as we allow the experience to unfold on its own.